Updates to Troy L.'s profile since your last visit are highlighted in yellow. Have 3 step-children, with 6 wonderful grandbabies. Years ago, though, I thought I had one girl of my More…own... during my 2nd Divorce my wife divulged to the Judge she wasn't mine. A Court Ordered DNA Test confirmed her claim. I had no idea... needless to say I was crushed. I loved, and still do love her and her sister as if they were both my own. Troy L. Allison has a birthday today. Troy L. Allison added a photo to his profile gallery. Troy L. Allison posted a message. With all the changes our once great nation has endured over the last several decades, I ask that each of you make every effort to raise your children and especially your grandchildren up to hold and cherish those simple values that made America the 'Lighthouse of the World'; i.e., love God/Love one another/Love America enough to defend her when asked or needed... and a valid part of that commitment means being strong enough to prevent our public from being disarmed or limited in their ability to arm themselves in ANY fashion. We must be good stewards of the individual lives that God has granted each of us, and willing to defend ourselves and our families in the face of any enemy. Troy L. Allison updated his profile. View. Troy L. Allison changed his "Now" picture. Troy L. Allison changed his "Then" picture. Troy L. Allison added a comment on Terry Hedderman's Profile. Rick... you are one of the few real working cowboy's left from our old class... remember, old cowboy's can do lot's of fun stuff all over the world and still come home content to just be a cowboy. Nuttin'wrong with that, brother! Troy L. Allison added a comment on his Profile. New comment added. 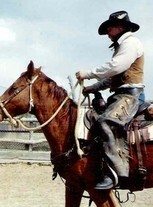 Riding for Russell Ranches, Elko, Nevada, spring of 1987. I left for Chino, Calif. just weeks later, where I attended a Horseshoeing School and completed my one year Journeyman Farrier Certification Course. PAT SITE 1, outside Khobar Towers, Saudi Arabia, July 25th 1996, the day before we were Bombed by Terrorists. I was assigned to 6/52 ADA, (PATRIOT Missile BN) Ansbach, GE. and we were doing our 6 month SWA Rotation. Working on the T-Chair Ranch, Gillette, Wy 1992. I worked this ranch four seperate times for a combined length of over 7 years between 1983 and 1992. P.S. I sure miss that dog. Shoeing the "World Famous" Lipizzan Stallions during one of their annual visits to Las Cruces, New Mexico, 2001. I worked as a back-up Farrier for them for 3yrs while shoeing full time out of El Paso, TX. 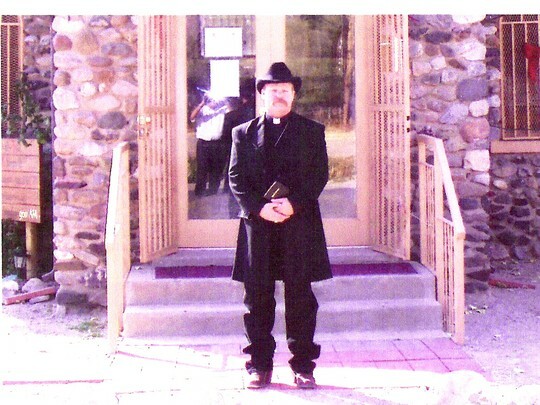 I began Shoeing in the El Paso area while still in the Army in 1998, and continued until leaving for Chaplain Officer Basic Leadership Course in 2007. I had been shoeing on the side while stationed at Ansbach, Germany previous to this, where I was the principle Farrier to the European Rodeo Association from 1995 to 1998. Upon Graduation from CHOBLC, at Ft Sumpter, NC 2008. I had taken an 8yr break in Service to finish my BA/S and M-Div in order to earn my Commission and become an Army Chaplain.